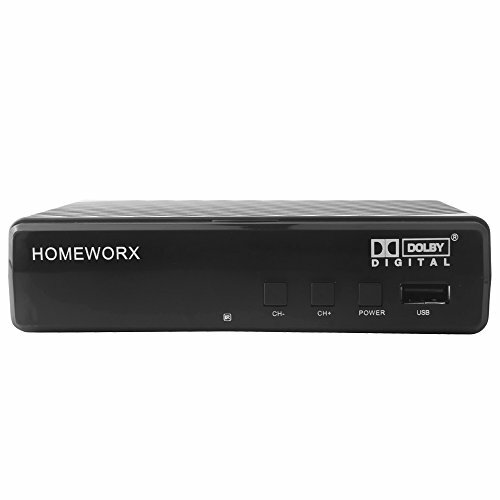 Mediasonic HOMEWORX HW130STB is a digital converter box which converts Over-The-Air ATSC digital broadcast to your analog and digital TV. The built-in Media Player function allows user to play back picture and video files via USB connection. The built-in recording function allows user to record their TV programs and play back. Please Note: this converter box is designed to receive Over-The-Air signal, and it is not a replacement of cable box. Real-Time recording & Programmed Time Recording, Auto, 16:9 Pillar Box, 16:9 Pan G Scan, 4:3 Letter Box, 4:3 Pan G Scan, 4:3 Full, 16:9 Wide Screen. Timing Start Up & Shut Down.